I've decided to make some of my favourite cartoon characters into the main cast of heroes for "Alien Terminators". 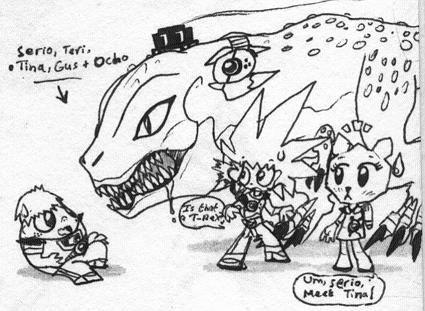 This time it's Serio (from Combo-Ninos) Gus (from Robotboy), and Teri, Ocho & Tina (from The Amazing World of Gumball). As you expected, Gus is the worst member of the Alien Terminators team, who would rather stuff his selfish face then save the world from aliens.